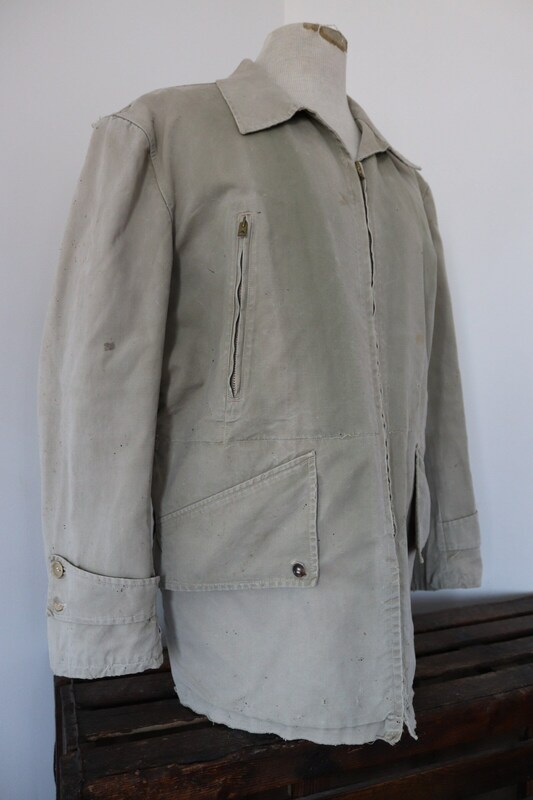 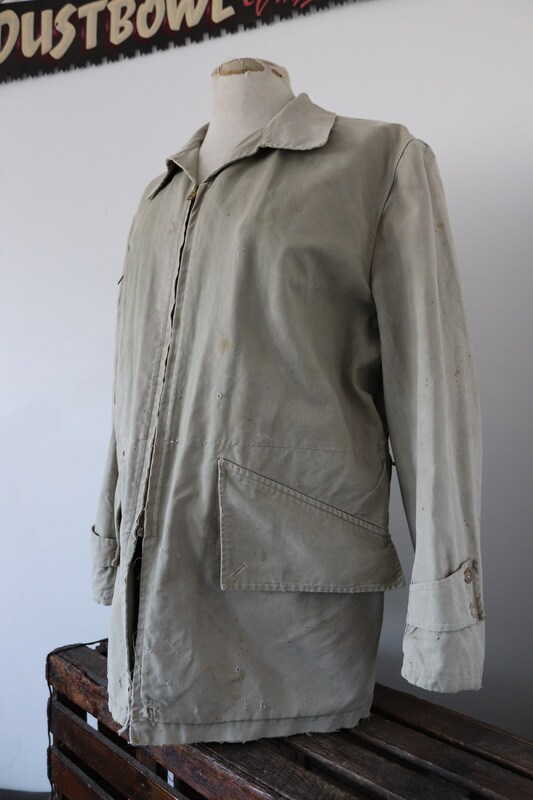 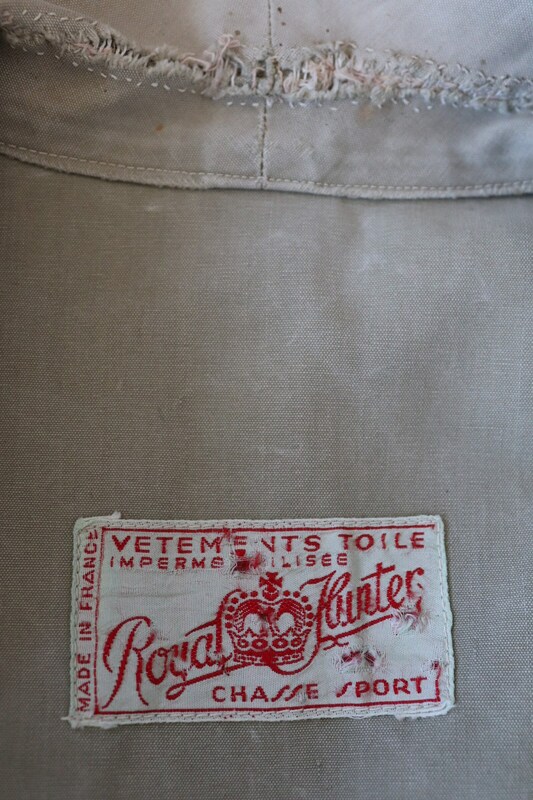 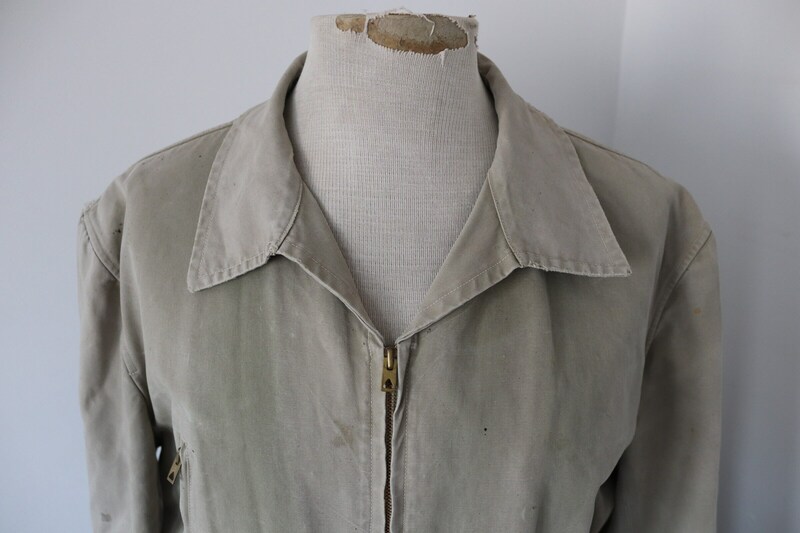 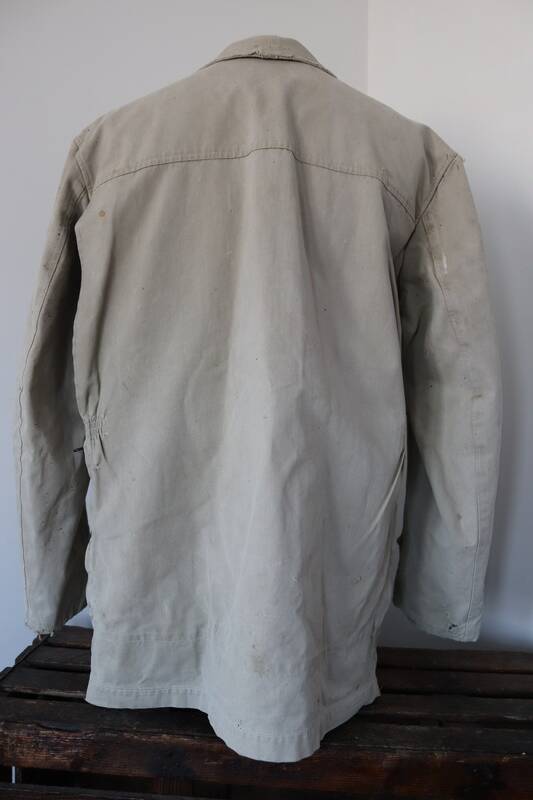 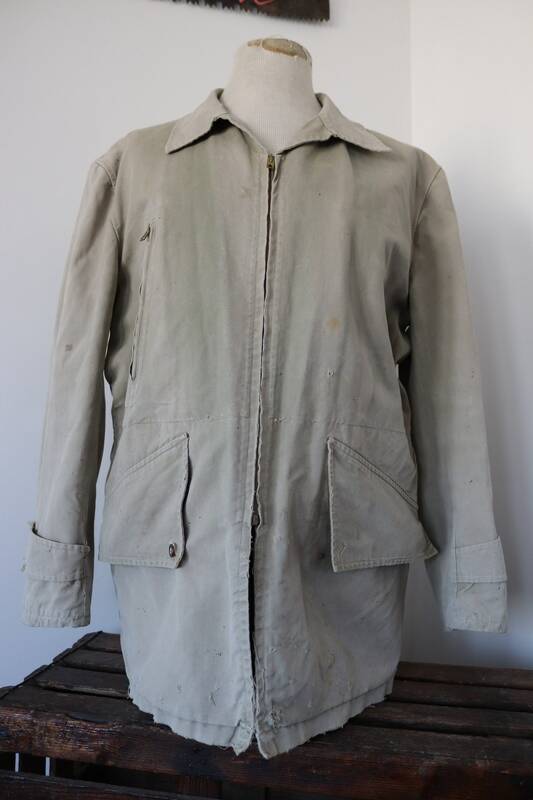 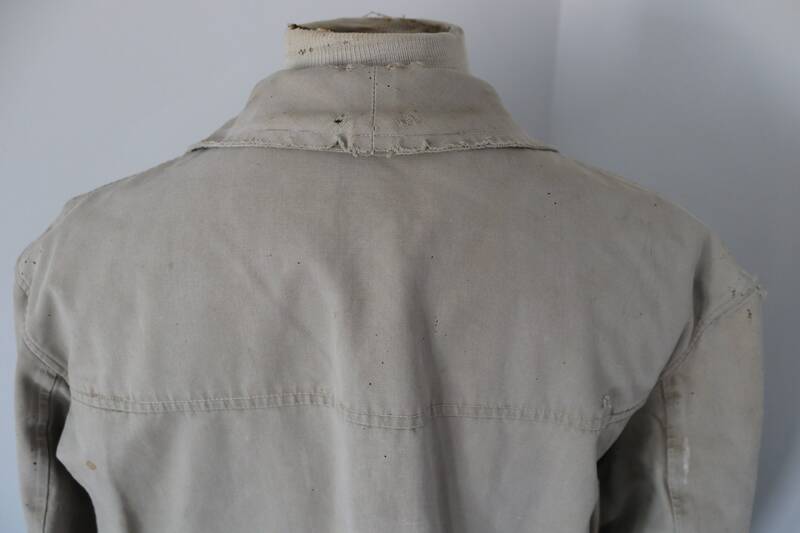 A faded sage green/cream French cotton canvas hunting jacket, dating from the 1950s. 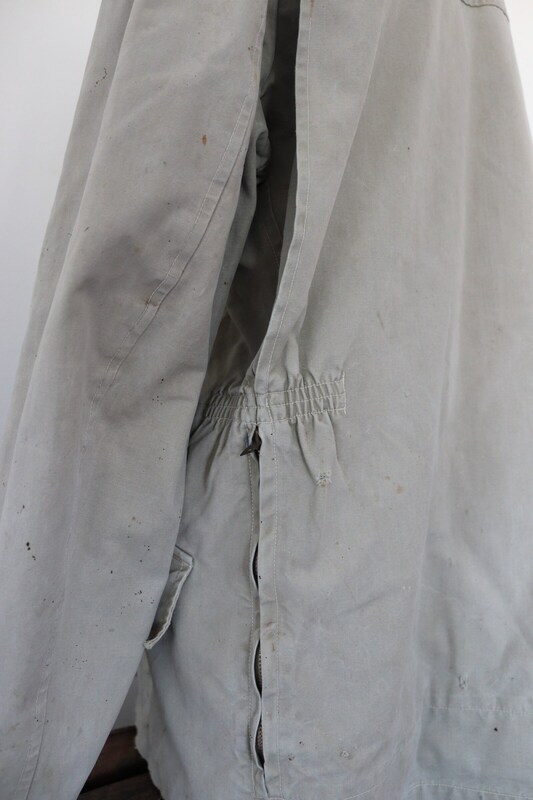 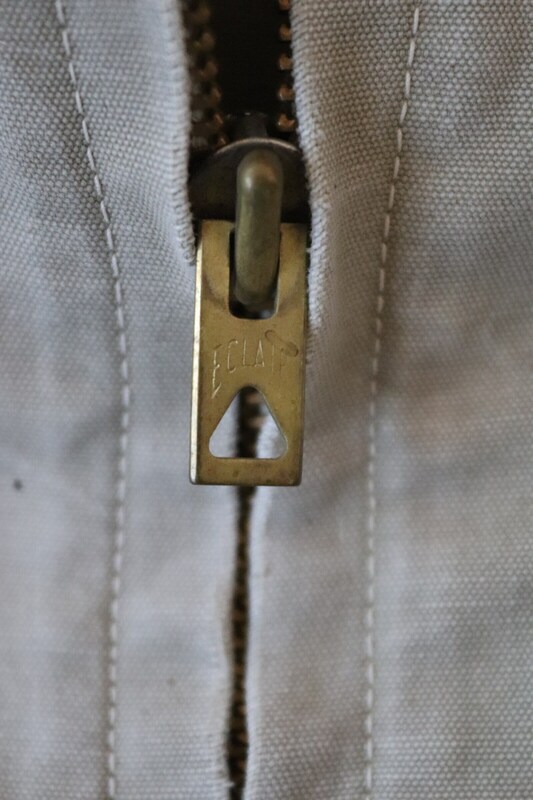 Noted flaws - small marks and frays throughout, frayed and repaired on the inside of the collar, missing the left hand pocket button - please see photos. 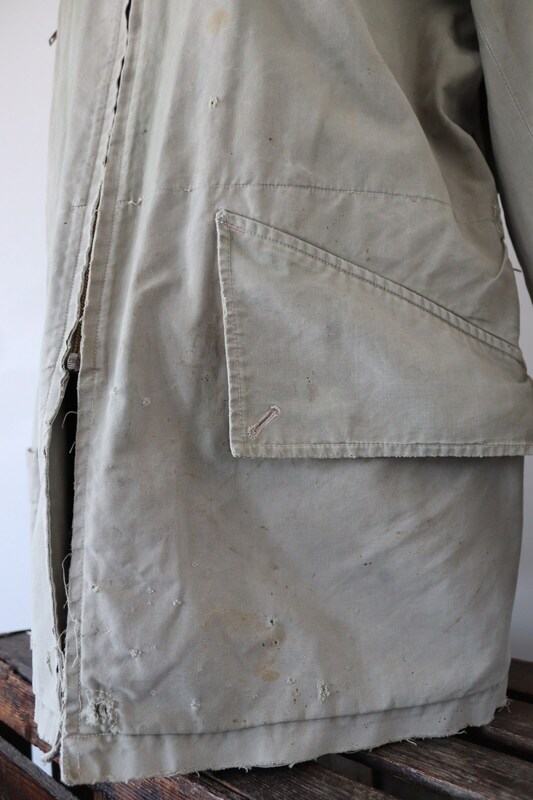 Lightweight but sturdy cotton canvas, straight through back pocket, great label, elasticated at the waist, single chest pocket, two hand pockets.